Hiring a plumber for any job, big or small, can make even the most confident consumer shrivel with fear. 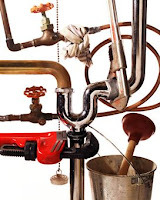 The fact of the matter is that hiring a plumber is not always as easy as it sounds. You may think that everything is okay just to learn that you either spent too much money, or hired the wrong person for the job. 1. Group together all of your repairs so the plumber only has to visit your home one time. You can save a lot of money by doing this, while also ensuring that all of the repairs are made without delay. 2. Request a written estimate before the work starts. Many consumers never do this because they take the plumber’s word for it. There is nothing wrong with trusting your plumber, but to protect both parties this is something you definitely want to do. Every reputable plumber will offer to give a written estimate before getting their hands wet. 3. 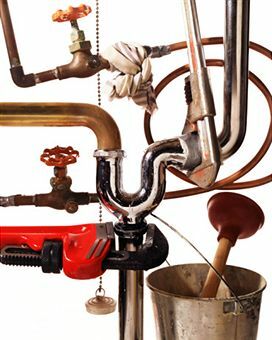 Select a plumber that is insured and licensed. When you choose a plumber on a whim, such as by an ad in a local paper, you never know what you are going to get. During your initial conversation, ask the plumber if they are insured and licensed. This can go a long way in easing your stress. 4. Ask how their rate is calculated. Are you being charged a flat rate for the entire project? Or will you be paying an hourly rate? This is an important question, but one that many forget to ask. 5. Don't be afraid to ask for references or inquire if they're part of a consumer organization that provides them. This can be helpful in your selection especially if they are A+ rated. These four tips may not be discussed all the time, but they can help you immensely when hiring a plumber. If you implement these tips, while also using your common sense, you will hire the right plumber and have all your problems fixed in no time at all. Is Bacteria Your Body Can't Resist In Your Water? In some cities, residents are turning up with unexplained antibiotic resistant infections. Researchers have discovered that these infections may be caused by antibiotic resistant bacteria in their water supply. Unfortunately, the problem only worsens at the water treatment plant. Water treatment plants typically will use “good” bacteria to digest waste, as part of the treatment process. Antibiotic resistant bacteria enters the water supply due to the misuse of medications, agricultural chemicals or cleaning products, and generally die off as part of the water treatment process. Sadly, the genetic material for these “bad” bacteria will mingle with that of the “good” bacteria, forming an entire reservoir of antibiotic-resistant bacteria in water. While multi-stage filtration by water treatment plants will capture much of the antibiotic resistant genetic material, researchers have been able to detect enough of the harmful bacteria in water to warrant further research. In the meantime, if you’re concerned about the effects of antibiotic resistant bacteria in your water, think about installing a system that will protect your home and family and assure that the water you're drinking isn't harmful. Our whole-home system is the solution and our Easy Water Bacteria Shield uses the natural power of UV light to deactivate bacteria, viruses, cysts and other dangers in your water. Enjoying a finished attic space in the summer sounds like a nice idea, but the room is like a sauna. Can anything be done to make the top floor as cool as the first and not cause the utility bills to skyrocket? Yes! Choosing an efficient system and making sure that ducts are well sealed are critical steps to keeping every room of the house cool. Air conditioning is a component of the HVAC (heating, ventilating and air conditioning) system. 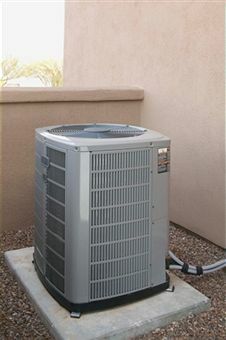 The air-conditioning unit sits outside of the home and pumps liquid refrigerant (a liquid that cools something -- often referred to as "Freon") into the air-handling unit (AHU), the unit inside the home that generates heated or cooled air. The AHU generates cool air and forces it through the home via supply ducts and into rooms. (Ducts are passageways, usually tubular and made from sheet metal, flexible material or rigid insulation, that deliver air from the AHU throughout the home, and also return air from the rooms back into the AHU for re-circulation.) Meanwhile, the slightly warmed refrigerant travels back outside to the air conditioner, where it's cooled and re-circulated. It's important to note, however, that even a high SEER unit may not perform well if the overall HVAC system, including how the air is distributed through the home, hasn't been well planned. As part of the HVAC system, duct work plays a critical role in delivering cool air to the rooms. A state-of-the-art air conditioner is only effective if the air it cools reaches the family. Defective furnaces, fireplaces, flues, space heaters, ovens, oil heaters and any gasoline-powered engines are most frequently responsible for accidental carbon monoxide (CO) poisonings. When improperly vented, malfunctioning systems and appliances like furnaces and air-conditioners can slowly fill your home with CO. In the United States, CO leaks are known as the "silent killer" responsible for an estimated 500 deaths a year and more than 15,000 trips to the emergency room. However, as CO poisoning often goes unreported, the number of instances is most likely much higher. Take note especially if everyone in the home is experiencing at least some of the symptoms, and pay particular attention if pets exhibit symptoms, since animals cannot get the flu. 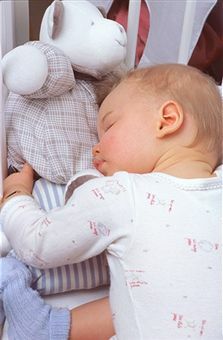 When CO levels exceed 20 percent, the poisoning can be fatal. Evacuate your home; get everyone outdoors immediately. Call 9-1-1 from another location. Report it to the fire department, even if everyone is feeling better.